The Holy Spirit gives tongues but He’s not tongues. He’s gentle as a dove but He’s not one. He can flow like oil but He’s not oil. He can blow as a wind but He’s not a wind. He’s a wonderful Personality in the Godhead. God the invisible! He sees, talks, feels, hears, smells, directs and etc. He possesses all the attributes of a Personality even though He’s invisible and He does all that God does because He is God (John 4:24). He’s the most protected Personality in the Godhead and the Scripture is full of such warnings as: grieve not the Spirit, quench not the Spirit and blaspheme not against the Spirit. When the Lord Jesus Christ visited me for the first time in mama’s little room when I was five, I received that divine Personality of the Holy Spirit into my heart or spirit. I was reborn by Him (John 3:6). He began to instruct me in Christ and reveal Him to me in the Word (John 16:13). He gave me the unquenchable passion for evangelism and my life became changed. I didn’t speak with tongues until I received the power of that same Spirit upon me. That was three years later, during an intercessory meeting organized by my aunties, in grandpa’s church. I was endued with power from on high (Luke 24:49; Acts 1:8). 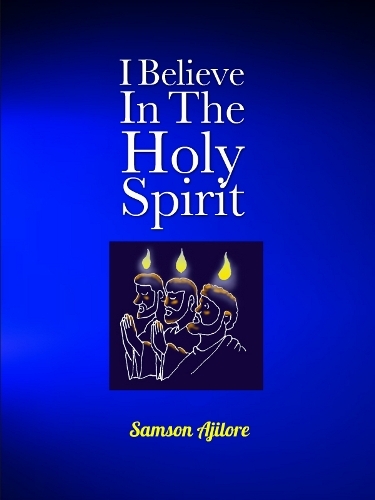 All it takes to be saved and get to heaven is the Spirit WITHIN-the born again experience but to live the full effective Christian life here on earth, the power of the Spirit UPON is a necessity. It is what make you a bold dynamite on fire for God, living like those believers in the book of Acts, unlike the cowering ones meeting behind lock doors for the fear of the Jewish leaders portrayed in the gospels (John 20:19). Power From On High Or Empty Tongues? People mix things up by reducing the Holy Spirit to tongues. Some even go to church and learn how to talk in tongues mechanically without first receiving the Spirit upon them. They learn some gibberish without the power. You can learn and imitate empty tongues but no one can teach you the Holy Spirit, even though you may learn about Him, He must be personally experienced. Carnal imitation doesn’t bring transformation, only a genuine encounter does. You see, when you receive Jesus Christ at salvation, you receive that wonderful Personality of the Holy Spirit into your heart or spirit in all His fullness. That Personality begins to teach you and reveal Christ to you in the Word. When He now comes UPON you for empowerment, like He did for the apostles in Acts 2:1-4, you then receive His power and begin to talk in tongues. It is the Spirit that gives the utterance and that can make you have sensations in your tongues of some sort but you must do the speaking, the Spirit will not do that. Waiting for Him to do the speaking is unbelief and unscriptural, it will make you wait forever without results. The Spirit’s work at His coming WITHIN at salvation and His work at His coming UPON when one receives His baptism are two different experiences. One is about a divine Personality indwelling you. It is communion with the most important Person on earth that lives in the church today. The second is about the power of that same Person, and it is that power that comes with tongues. The Lord God anointed Jesus of Nazareth with the Holy Spirit WITHIN and power UPON and He went about doing good, healing all that were oppressed of the devil ,for God was with Him (Acts 10:38). His Person or presence WITHIN makes you a Christian, His power UPON makes you witness with signs! Posted on March 28, 2014, in Miscellanous and tagged holy spirit, Jesus Christ, Power Of The Holy Spirit, The Holy Spirit. Bookmark the permalink. Leave a comment.